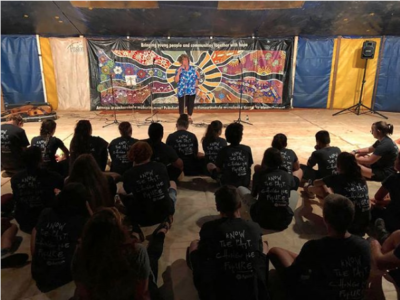 Today our Pilgrims from around Australia, arrived at Yulara! Together for the first time, we were Welcomed to Country by longtime friend of Basecamp, Uka and translated by her friend Charmaine. 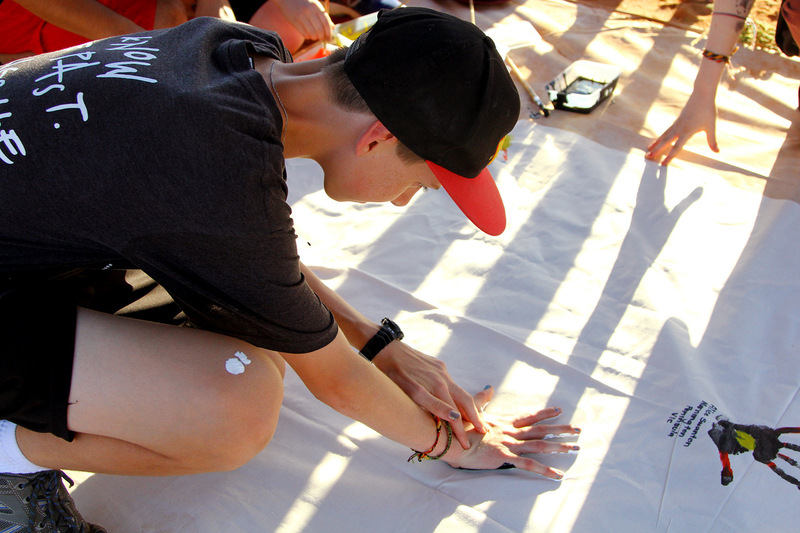 Afterwards each bus painted their hands on a banner, as a symbol of arriving without weapons and being ready to receive with open hands. 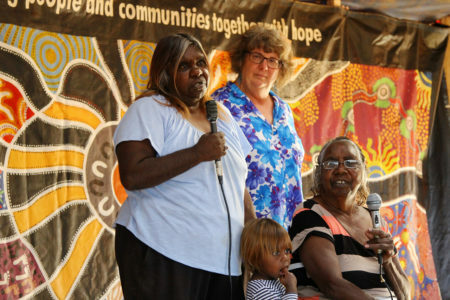 The Anangu ladies who welcomed us also put their hands on the banner, which was pretty special. 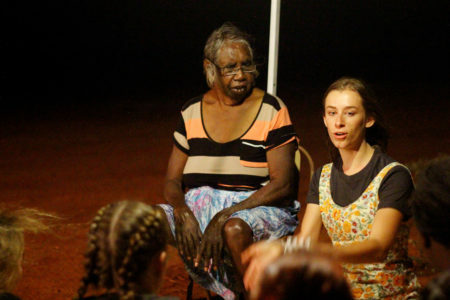 Pitjantjatjara language with Uka (learning words like Palya, which means welcome, hello, thank you, goodbye). Art, our pilgrims were able to paint their own dot paintings and learnt about different types of symbols and how local Muti women support their families through art. Food, tasting local foods and hearing about the cooking process. Treaty, what is a treaty and why don’t we have one? 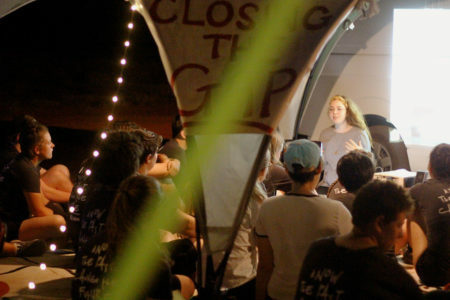 Close The Gap Campaign, the heartbreaking reality of the gap that exists between white Australians and our First Nations People. Our 130 Pilgrims began to bond over their shared experiences and began to comprehend the bigger story that they are now part of.